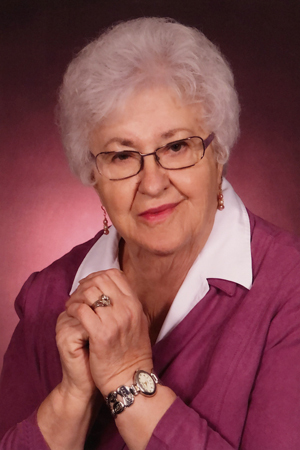 HAMILTON – Edna Mae Christman McCarty, 87, of Hamilton, passed away from complications of pancreatic cancer on Sunday, Nov. 25, 2018, at her home surrounded by family. She was born September 26, 1931, in Great Falls, Montana, in the shadow of the Big Stack. She was the youngest of six children of John and Emma (Trautman) Christman living on the family farm in the Knees Community on the Bootlegger Trail. 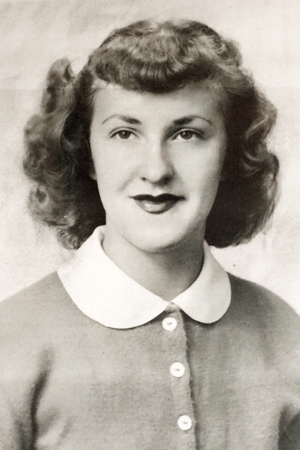 Edna was educated in Missoula, attending Franklin Grade School and graduating from Missoula County High School in 1949. She married Royce A. McCarty on April 15, 1950, in Idaho Falls, Idaho. Edna had several jobs throughout her life, but most importantly raised four children with her husband, Royce, of 55 years. Edna taught Sunday School at the UMAB Church, where she also sang in the choir. She was a longtime member of the Hamilton Senior Center, Red Hats and Rebekah’s. Edna and her husband, Royce enjoyed nine winters in Arizona, where they met many cherished friends. Edna began painting as a hobby and enjoyed spoiling her grandkids. She loved to swim and attend water aerobics. Edna was preceded in death by her husband Royce, and her parents, John and Emma Christman, and all of her siblings, Mary Chole, Herman Christman, Anna Nance, Alfred Christman and Elsie Mackie. Edna is survived by her long-time companion, Bennie Fayle, her four children, Sandra Schurman (Bob) of Marysville, Washington, Wendy Dutton (Ross) of Hamilton, Royce “Rory” McCarty, Jr. (Mona) of Hamilton, and Jon McCarty (Rhonda) of Great Falls: Nine grandchildren, Rob Schurman (Sarah), Christina Maddy (Jonny Scott), Desiree Dutton (Reed Cole), Alexis Dutton, Ashley Christopherson, (Dalton), Molenda “Molly” McCarty, Royce “Allen” McCarty III, Meagan Marquis (Calob), Ryan McCarty; 13 great-grandchildren, Dylan Scott, Reese, Aaron & Ryan Maddy, Addison & Ford Schurman, Mariah Dutton-Heilman, Hayden Hart, Lane, Cierra & Brennan Cole, Reagan & Clark Christopherson; and nieces & nephews Marion Ryan, DeLoris Hansen, Leon Nance, Alfred Nance, Dixie DeNance, Norma Jean Greyn, Peggy DeVries, Marcia Baier, & Ron Mackie. Services will be held at 2 p.m. Saturday, Dec. 1, 2018, at the United Methodist - American Baptist (UMAB) Church (211 N. Sixth St., Hamilton) with a reception following at the church. Private family interment will take place at Riverview Cemetery at a later date. The family suggests that memorials be made in Edna's name to the UMAB Church, Marcus Daly Center for Hospice and Palliative Care, or Hamilton Senior Center.